Archival pigment print. Dumas creates "Ice Melting" installations in diverse locations. Those "In Situ" performances involve large blocks of ice installed on walls and let to melt at their natural melting pace. Because those installations are all unique, temporary, non-permanent, fleeting, the only way to record their presence is to photograph them once installed and once the process of melting has started. 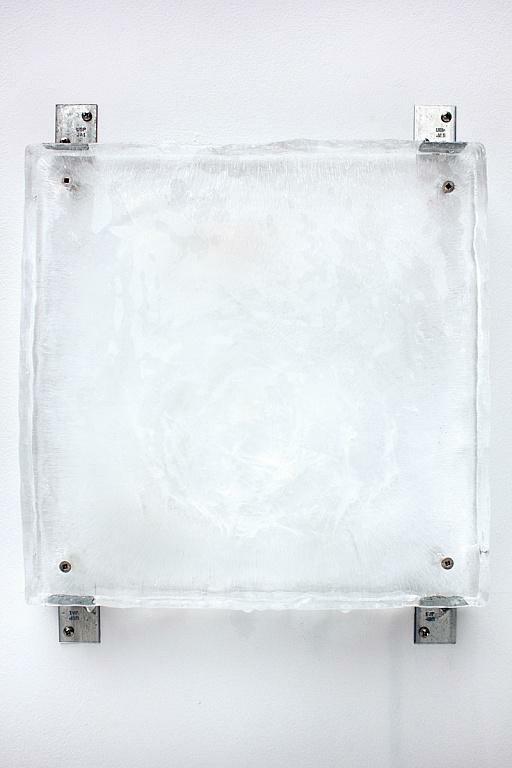 "Ice painting 01 (Studio at Grand and Morgan, Brooklyn, 2015) - edition of 5" is the actual photogprah of the "Ice Melting" block Dumas installed in 2015 in her then studio on Grand Street and Morgan Avenue in Brooklyn. The Ice Melting series is an ongoing series the artist creates to bring awareness to the issue of global warming.